Reading progress update: I've read 100 out of 405 pages. it’s an intense read, mainly because everything is extending from the first few chapters, in which, among other things, a stabbing took place at a shelter for abused women. the shelter was supposed to be secure from any intruders, and beyond that, eyewitness statements are conflicting. meanwhile, several key characters in the book are women at the shelter...including Simone and Ayana, both of whom have tragic pasts and reasons to fear life beyond the shelter’s walls, maybe even more than the others. 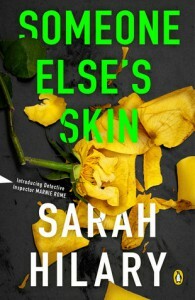 then there’s the main detective, Marnie Rome, and what happened to her family five years earlier is possibly the worst of everything presented so far. if you think I’m disliking the novel because of all of the above...no, I’m not. it seems like it may be the best, and most important, Crime novel I read all year. but, long way to go.